If you don't already know this about me I absolutely love to paint my nails. I usually paint them every week on Sunday. There is something just so relaxing to me about painting my nails. It's kind of my "me time." I also use mostly Essie polish. I don't know why but I love their selection of colors, names, packaging and consistency. 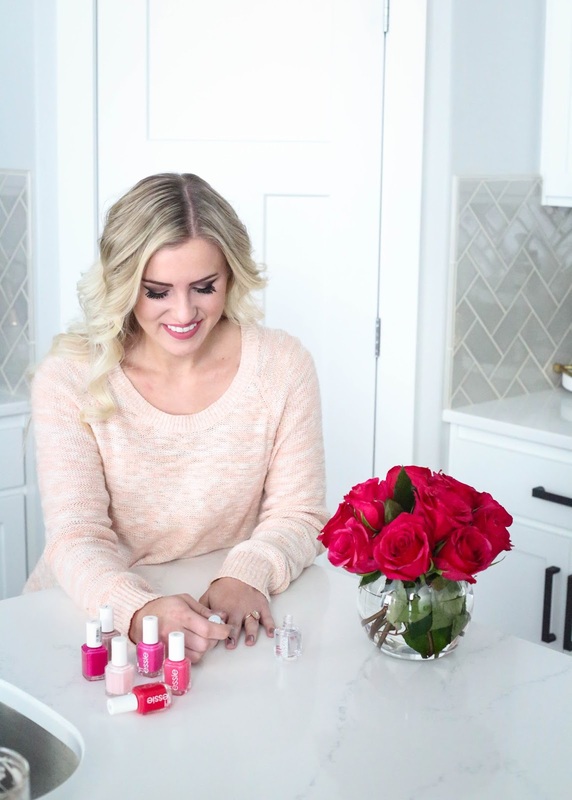 I thought I would share all my tips on how to get the perfect "at home manicure," and since Valentines is coming up my favorite pinks for the season! 1. You are going to want to start with clean nails. So remove any existing nail polish from your nails with fingernail polish remover. I store my fingernail polish remover in a pump like this one. It makes it convenient so I don't have to keep tipping the bottle over. 2. Next you want to shape your nails. So either use nail clippers to get the length you like, or use an emery board/nail file. I usually file my nails down to the length I want before I start on my cuticles. Any nail file will do. I usually buy the cheapest ones Target has. I like the square look on my nails but you can file or trim them any shape you want. If any part of my nails are rough or have some damage on the top of my nails I make sure to smooth them with a 7 way buffer so the polish goes on smooth. 3. 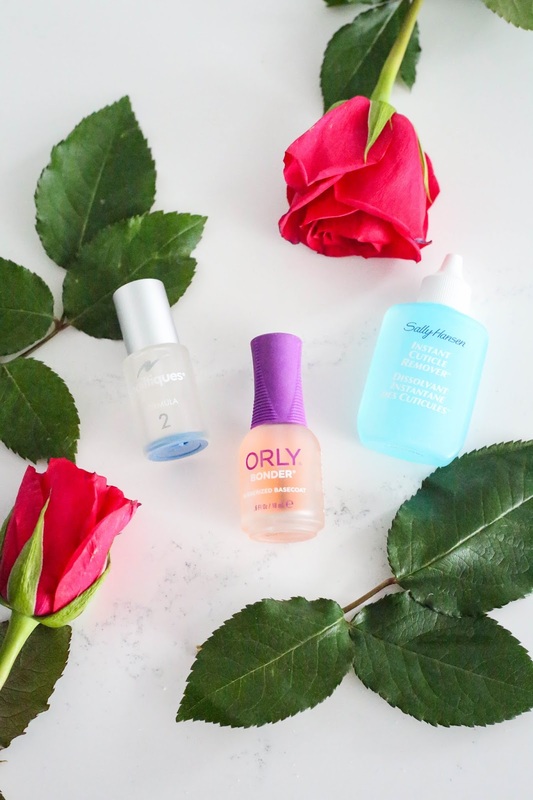 Once your nails are taken care of it is time to work on your cuticles! I like to remove my cuticles because I just don't like the way it looks, but if you don't want to remove your cuticles you can skip this step. First, I apply Sally Hansen's 'Instant Cuticle Remover' and let it sit for maybe 30 seconds to soften up my cuticles. Once that time has passed use a little nail scrubber to gently scrub your cuticles and under your nails. Then rinse your hands in warm water. 4. 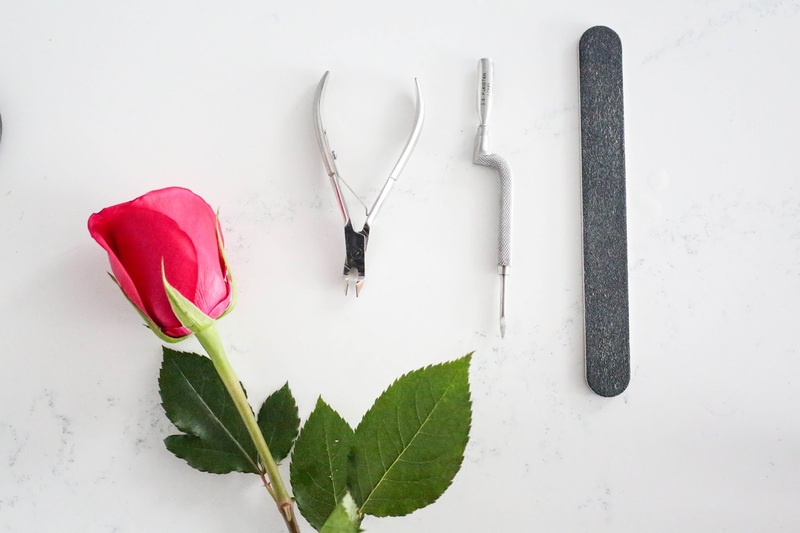 Once your hands are dry push your cuticles away from your nails with a cuticle pusher. You want them to be pushed back enough that it is easy to trim your cuticles and exposes your nails more, but not so much that it is painful. Then trim your cuticles off with a cuticle nipper. It took me a couple tries to figure out how much to take off or what worked for me. 5. 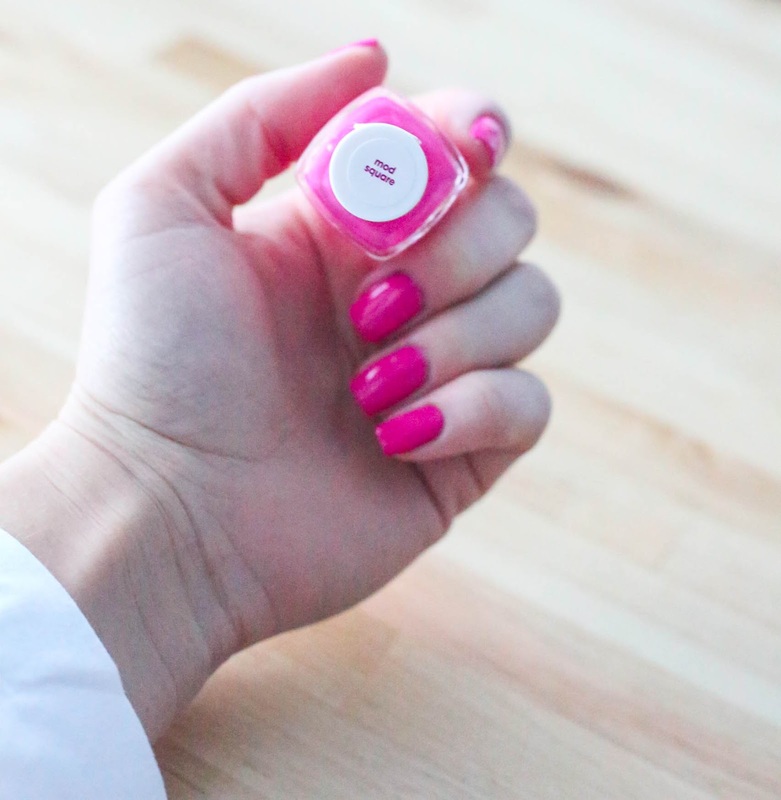 Now it is time to start prepping your nails for polish. When I first started painting my nails they were pretty brittle and thin. I applied a coat of Nailtiques Formula 2 before my base coat to help strengthen my nails and I swear by it. It has helped my nails stay strong and not break as often. It is a little more pricey, but very worth it! And it lasts for a long time. Apply just one coat of Nailtiques Formula 2 and it will dry by the time you are done with the other hand. 6. 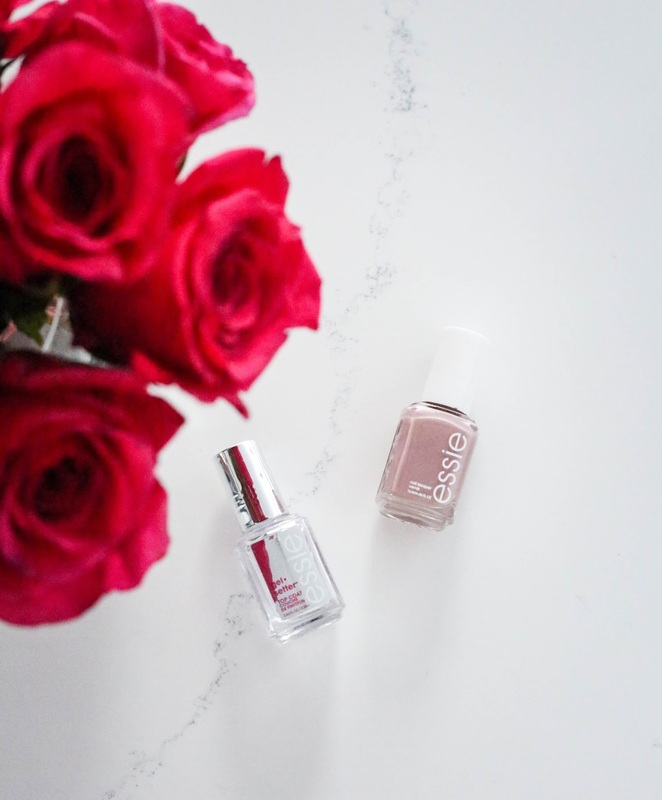 Apply your base coat to help make the nail polish stay and last longer. 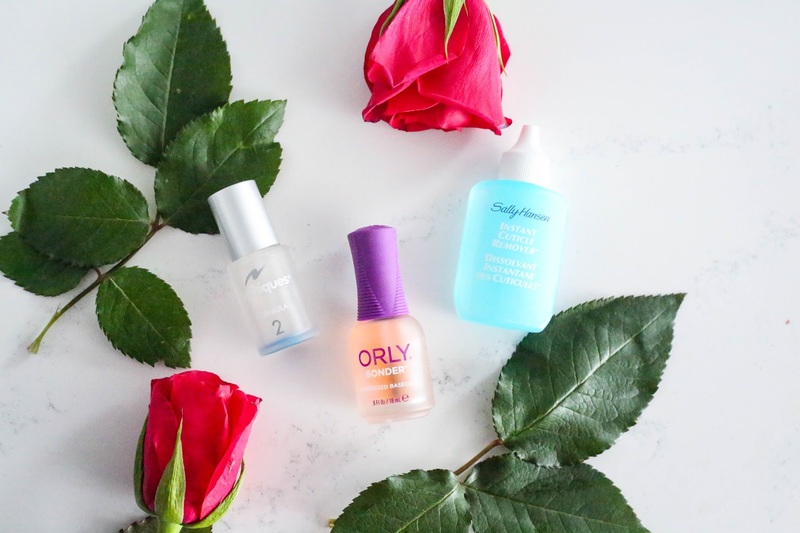 I use Orly Bonder Basecoat because I think it makes my manicure lasts way longer than other basecoats I've used. Something might work better for you, but it is the best one out there that works for me. This basecoat takes a little longer to dry so paint your right hand first, then left, and let them sit for a minute or two before you start with the polish. 7. Once your basecoat is dry apply one layer of fingernail polish! Whatever ever color or brand you prefer! 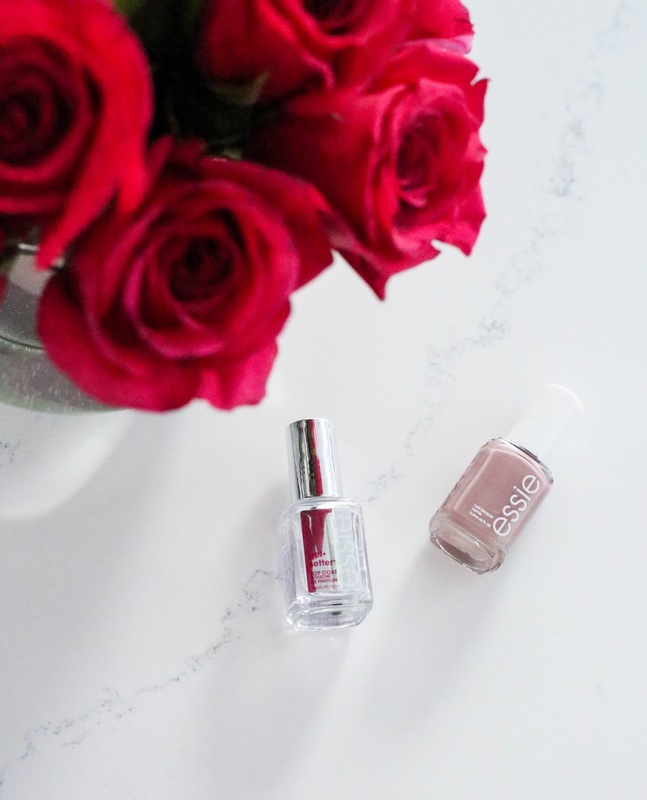 In these pictures I used Essies polish Ladylike. It is one of my favorite nudish colors, and it goes with every outfit. 9. 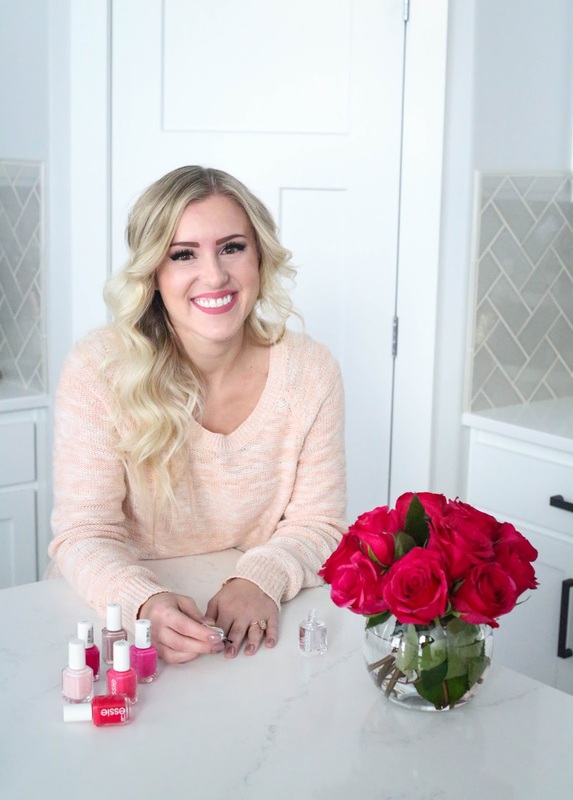 After you've applied your last layer of fingernail polish you want to apply it is time to "clean up" your nails by removing any extra nail polish that may have gotten on your fingers or cuticles. 10. After you have given a few minutes for your nail polish to settle and dry while cleaning up the excess polish, apply one layer of topcoat. 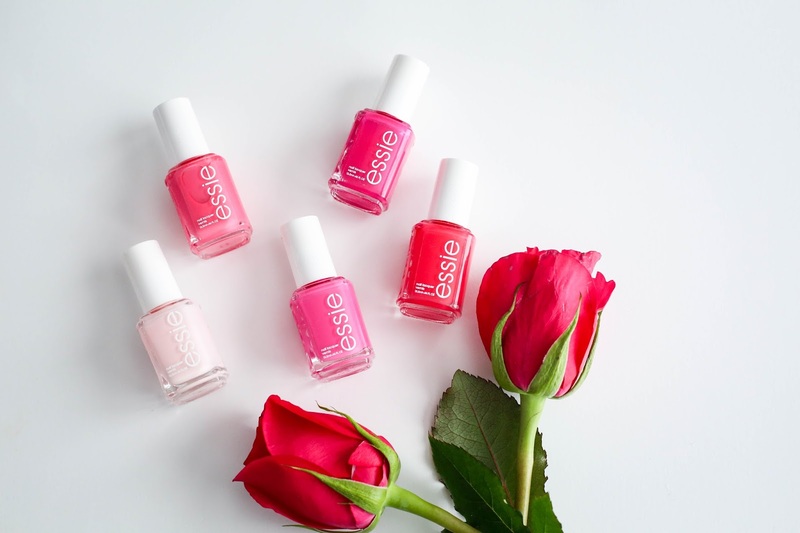 My favorite top coat is Essie Gel Setter. It drys very fast and gives the "gel nails" look. Every time I paint my nails at least one person asks if they are gel nails. Another great top coat is Seche Vite. I use to use it all the time before Essie came out with their Gel Setter and it works fantastic! 12. An extra step you don't have to do is apply Burts Bee's Cuticle Cream. Sometimes my cuticles get dried out from the acetone so I just rub a Q-tip around in the cream and apply it to my cuticles as needed. I usually wait till my nails are dry to apply the cream, but it works wonders, and smells like a dream!! 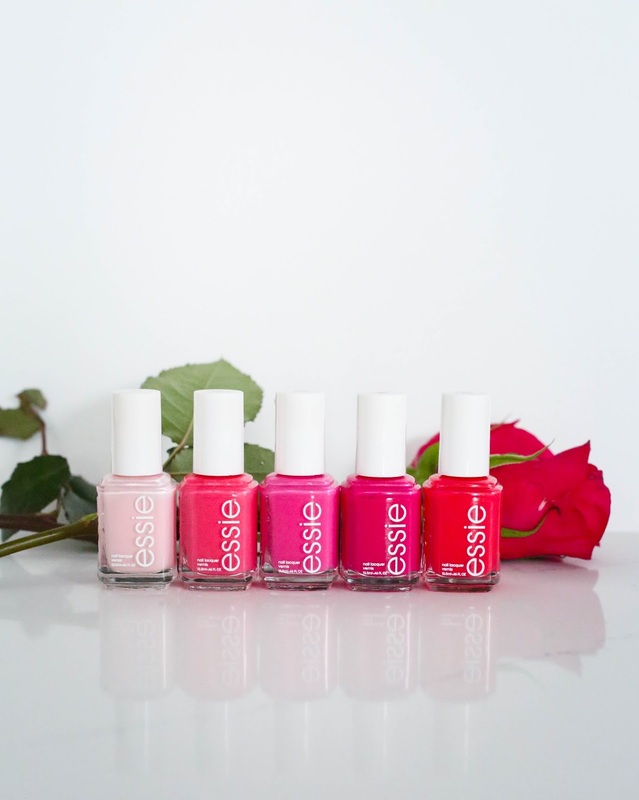 A few of my favorite colors for valentines are the polishes pictured! I used all of them and love how different the pinks are. Fiji is the perfect light pastel pink. 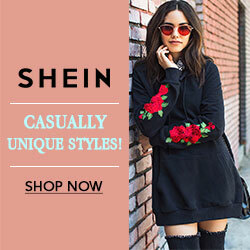 Perfect for spring or any occasion you want something subtle but feminine. Guilty Pleasures is a soft pink that reminds me of strawberries! Such a pretty color. Mod Square is such a bright almost neonish pink. Perfect for summer or a tropical vacation. 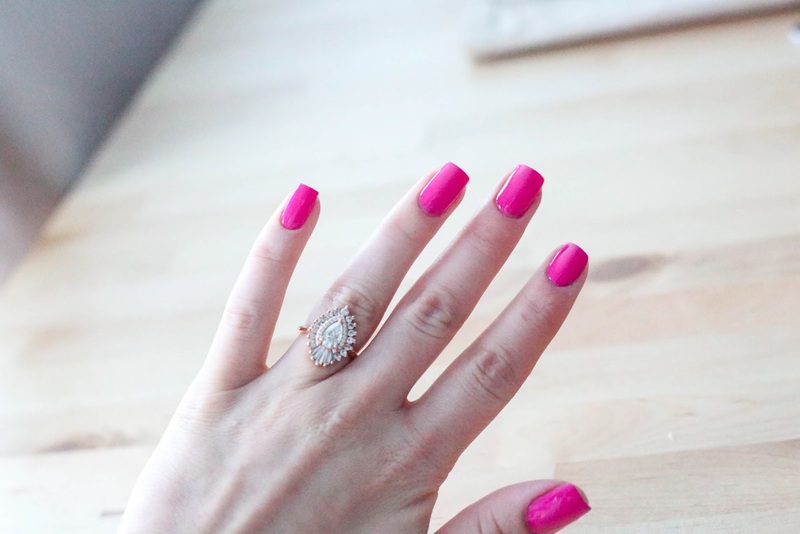 I wore it on our trip to the Caribbean and it was the perfect bright pink. Bachelorette Bash is probably one of my most worn colors by Essie! I love the fact that it is the perfect fuchsia and it is my favorite color to have on my nails. 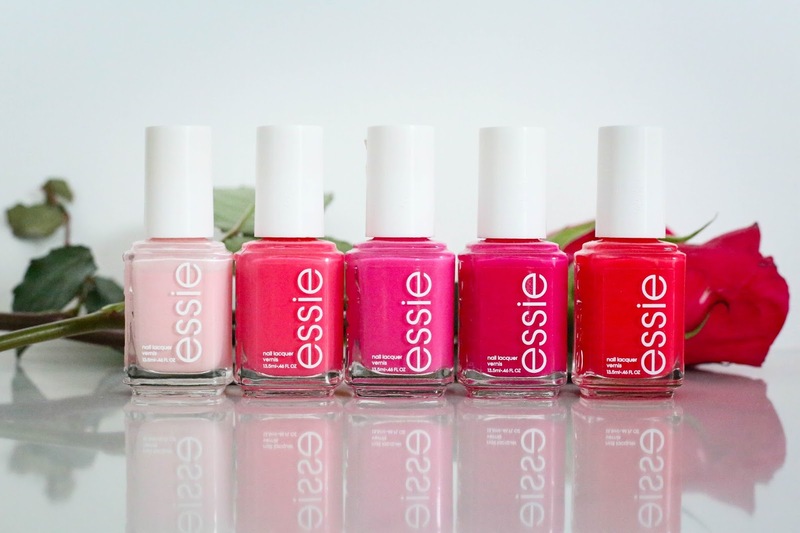 E-nuf is E-nuf is my favorite red, pink, coral color. 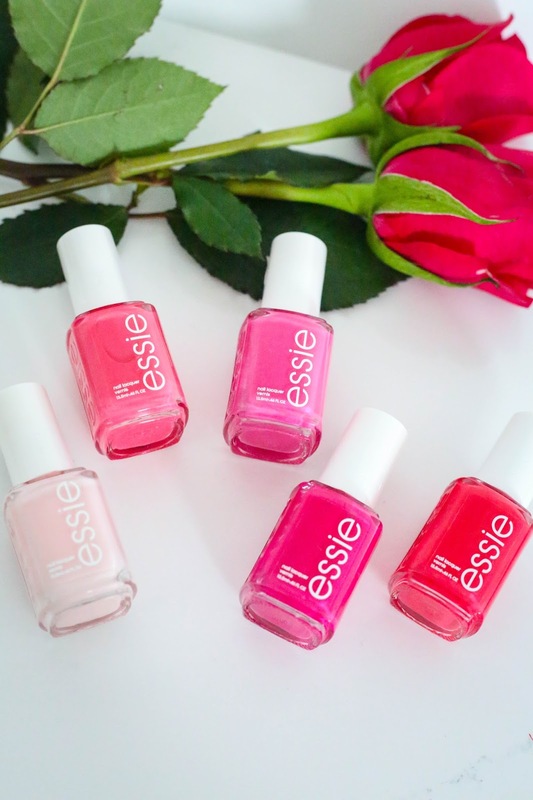 Perfect in between color for Valentines and summer. Thanks for bearing with me through that post! I know it was long, and by now you probably think I'm crazy for going into such detail about nails, but I also hope you enjoyed it! If you have any questions about products I use or how I do something feel free to leave a comment or contact me! 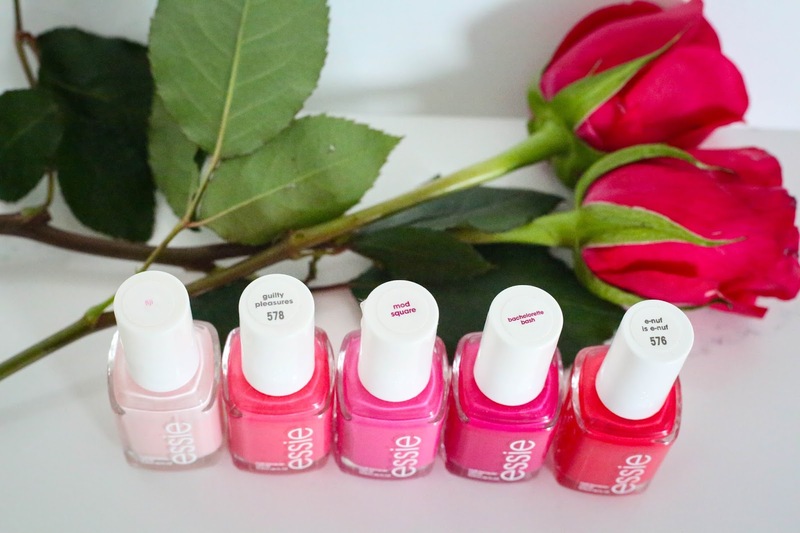 Hope you have such a sweet Valentine's with pretty nails!